Private secure location - on site manager, two stages. Each stage comes equipped with conference area, Wi-Fi, central heat + air and bathrooms. equipped with Wi-Fi, HDTV, full kitchen with professional range, automatic espresso maker and a convenient work area. Convenient production offices - private conference area upstairs. Wi-Fi and wireless printing is available throughout the studio. Drive-in access - 14' x 14' roll up door, ample parking for both cars and trucks. 800 amps power - central air, full studio sound system. 20' flush mount motion controlled turntable - with overhead tracking system and 2 shoot down platforms. 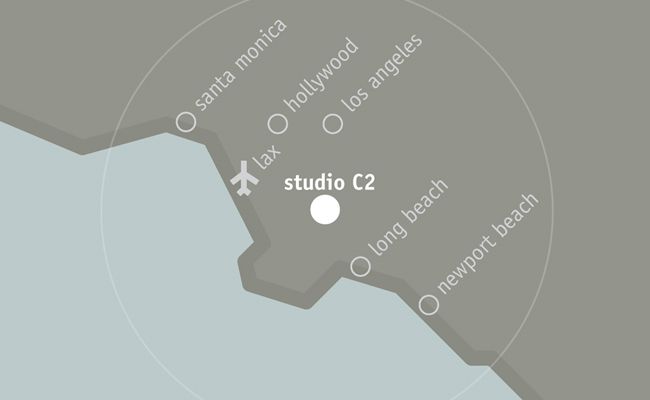 Location - 20 min from LAX / Downtown / Long Beach. 45 min from Santa Monica / Orange County.